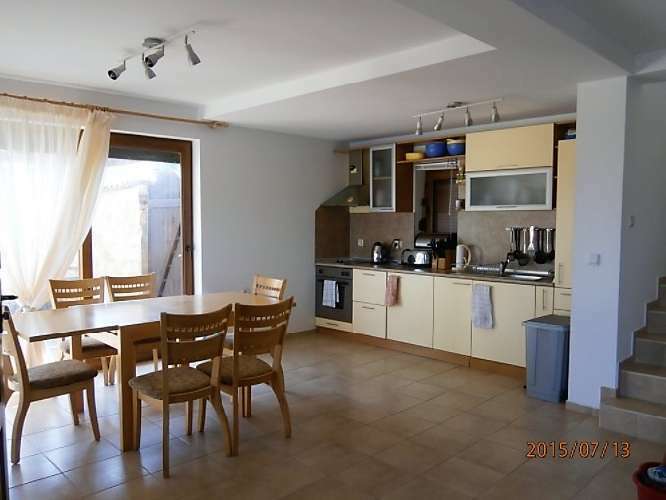 Very private with unobstructed spectacular views of the Black Sea across sunflower fields. 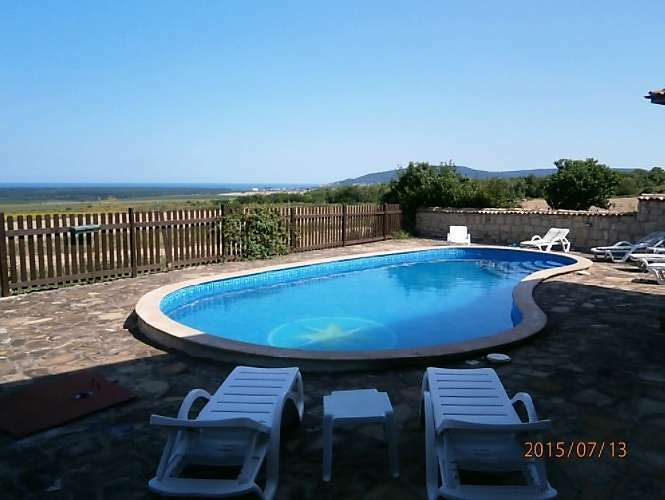 This beautiful villa is located in the village of Rogachevo in the north east of Bulgaria about 5 km from the seaside resort of Albena and 40 km from the city of Varna. There are 4 villas in total which are situated in a line and slightly off set to each other giving great privacy. The entrance to all 4 villas is to the rear with a long drive and parking for 2 vehicles per villa. 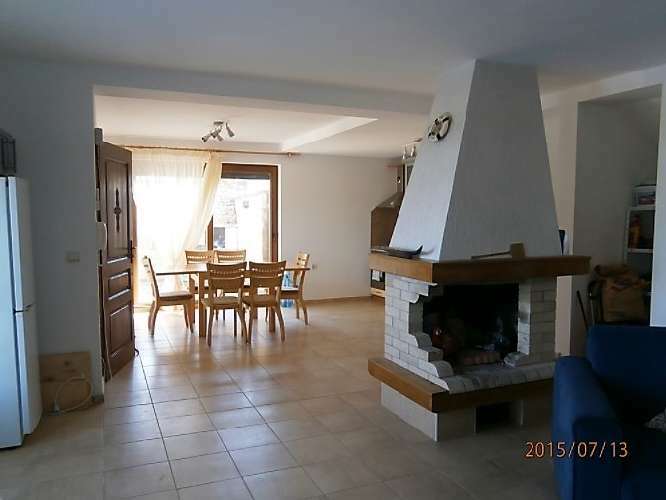 This family villa for sale in Bulgaria has a spacious lounge with central fireplace and a large open plan kitchen with dining area. 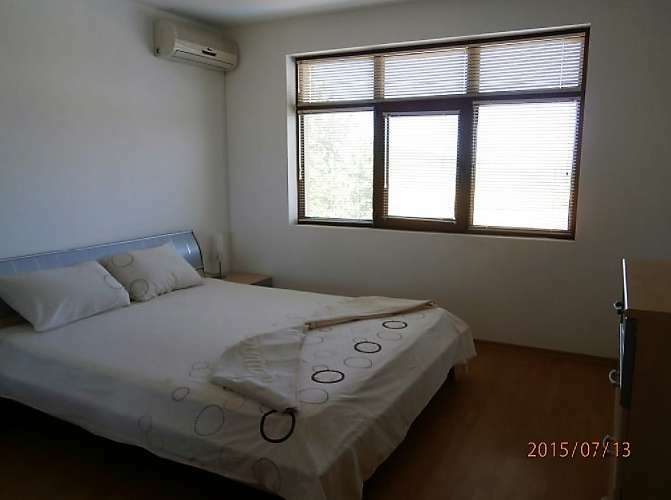 There are 3 bathrooms and 3 bedrooms with a balcony accessed by each bedroom. 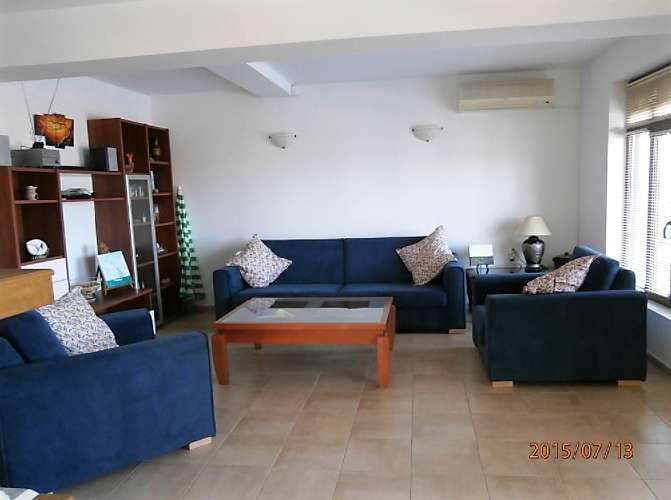 The villa is fully furnished and there is air conditioning in all bedrooms and in the open plan living area. The windows are PVC double glazed and each of the downstairs windows and patio door have shutters with an electric one on the main door. Inside all windows have fitted blinds upstairs and downstairs for shade and there are screens for the bedroom doors to the balcony, the patio door and main door and the downstairs windows so they can be left open. The villa is set on 500 sq m of lovely gardens that features a Nolus 7 built swimming pool with steps not ladders. Around the pool is a paved area for sunbathing and the outside dining area has a Bulgarian style outdoor oven, a fire and barbecue. 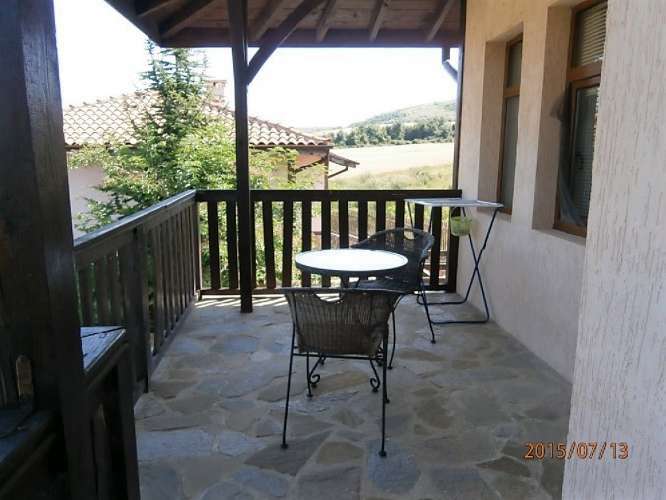 There is a wooden fence to the front and uninterrupted views of the Black Sea across fields of barley and sunflowers. The garden has 3 trees to the left of the villa with gravel covering the other areas leaving it maintenance free. There is full outside lighting on both sides of the property, the patio and also on the balcony. The villa has its own water meter and electricity meter and a monitored security system has been installed and is approx. 55 lev a month. The pool is in perfect condition with all the controls inside the villa. 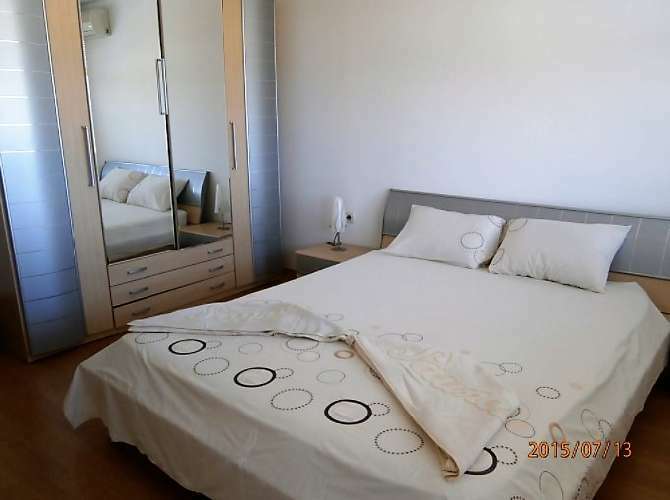 Rogachevo is in a quiet area yet close to all amenities and a wonderful place in which to buy a holiday villa in Bulgaria for personal use or holiday rentals. Lounge: large settee with 2 armchairs, large drinks wall cabinet accommodating CD, DVD, aux in, subwoofer stereo micro system with an area for large flat screen TV, large coffee table, games table with lifting top, small lamp table in the corner and large wood burning fireplace in the middle of the room. Kitchen: large oven, hob, extractor fan, fridge freezer, overhead cabinets and counter with sink and presses below. Extendable dining table with 6 chairs. Downstairs bathroom: toilet and wash hand basin, boiler fuse board and alarm system. 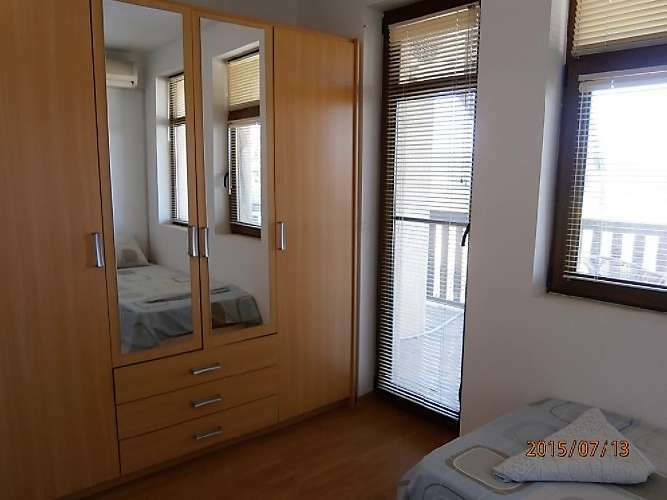 Bedroom 1: double bed, matching wardrobes and dressing table, lockers and lamps, air conditioning and access to the balcony. 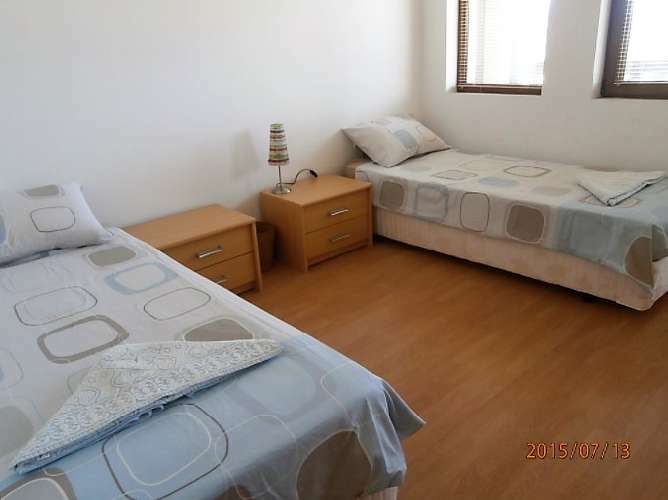 Bedroom 2: 2 single beds, wardrobes and dressing table, lockers and lamps, air conditioning and access to the balcony. 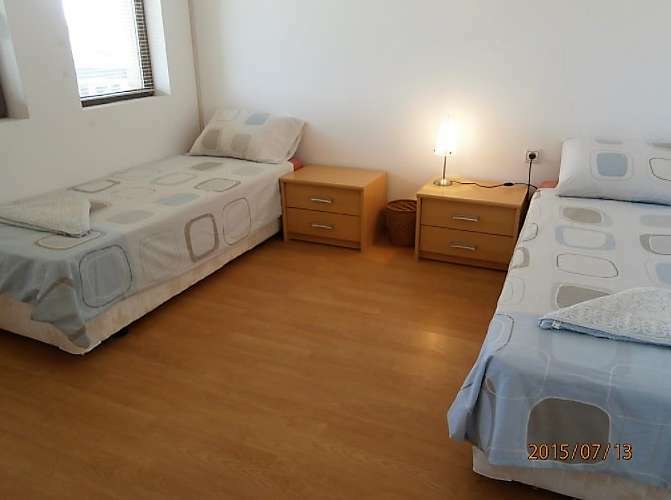 Bedroom 3: 2 single beds, wardrobes, lockers and lamps, air conditioning and access to the balcony. 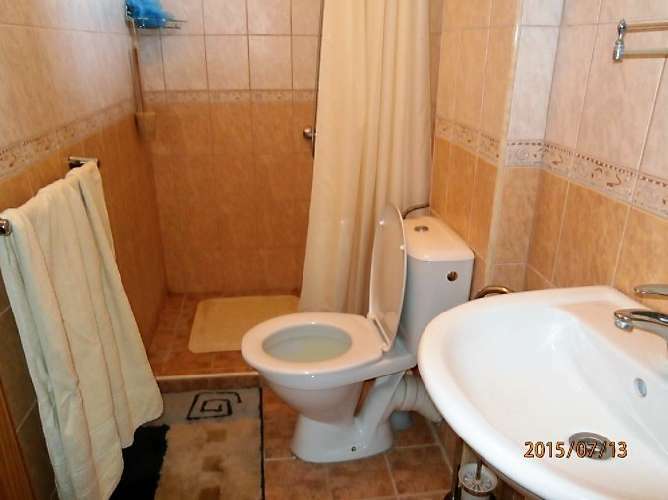 Bathroom 1: toilet, large bath with shower over, wash hand basin, mirrors and cabinet. 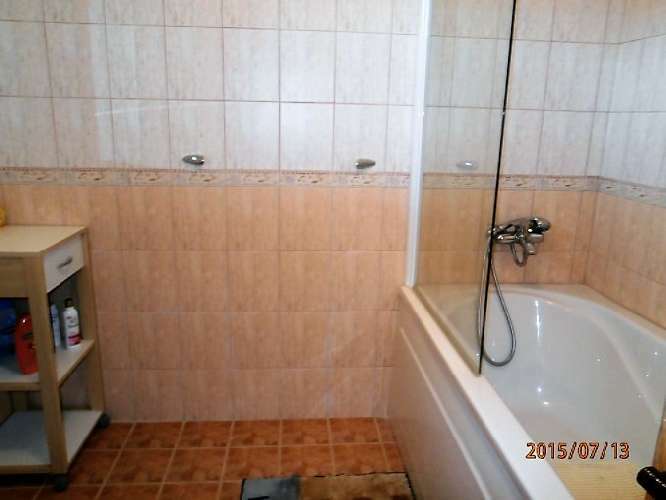 Bathroom 2: toilet, large shower with twin shower heads, wash hand basin, lighted mirror and cabinet. Balcony: small oval table with 4 chairs. Patio: outdoor dining table with 6 chairs, large umbrella for shade and 6 sun loungers by the poolside. General: washing machine plumbed in on the upstairs landing and double wardrobe on the upstairs landing for storage.